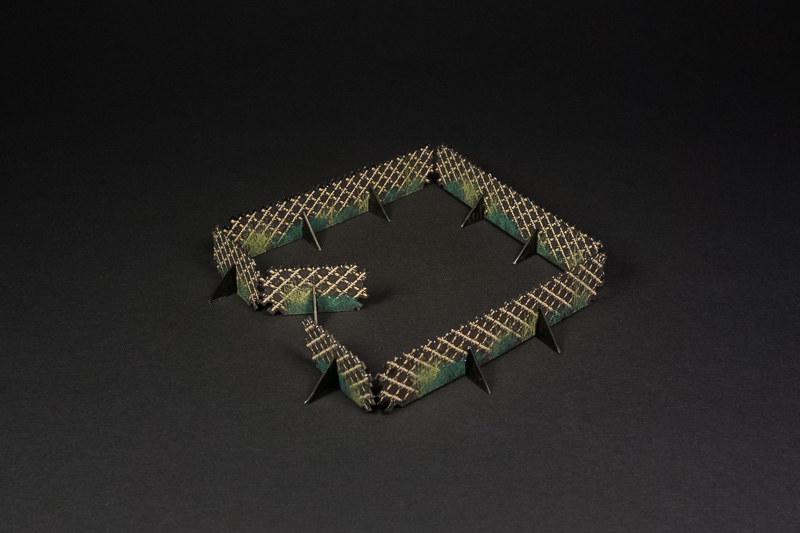 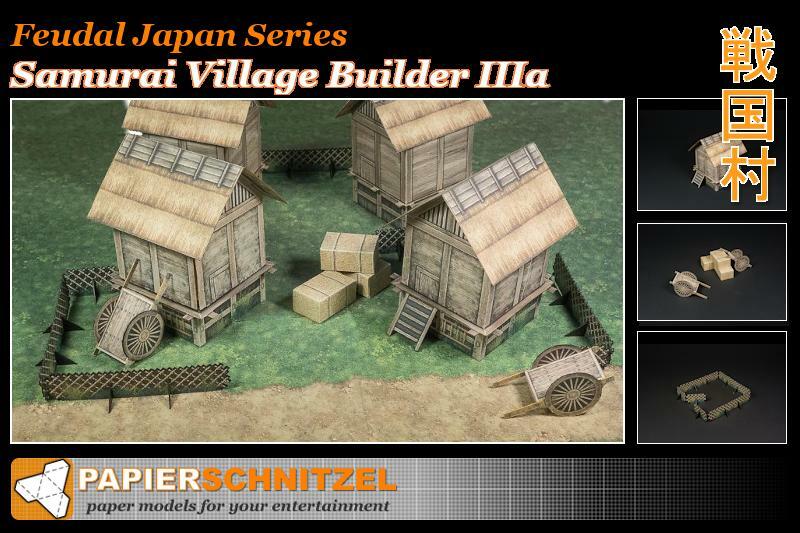 Introducing the Samurai Village Builder extras paper model terrain set! 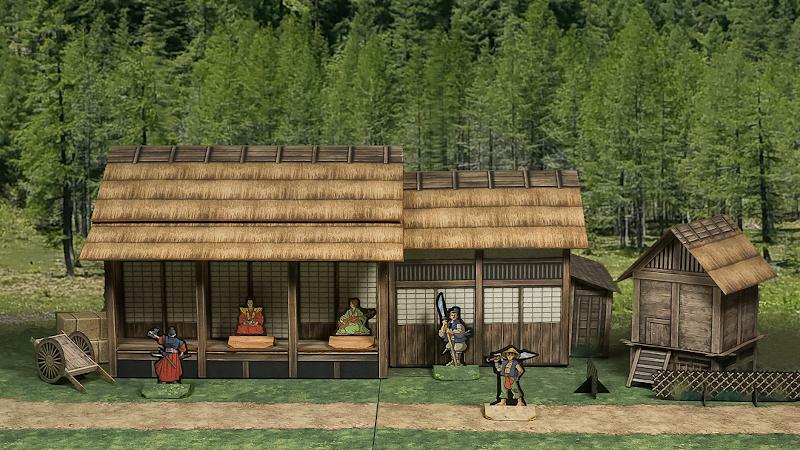 Build these cool extras to add more detail to your Samurai Villages. 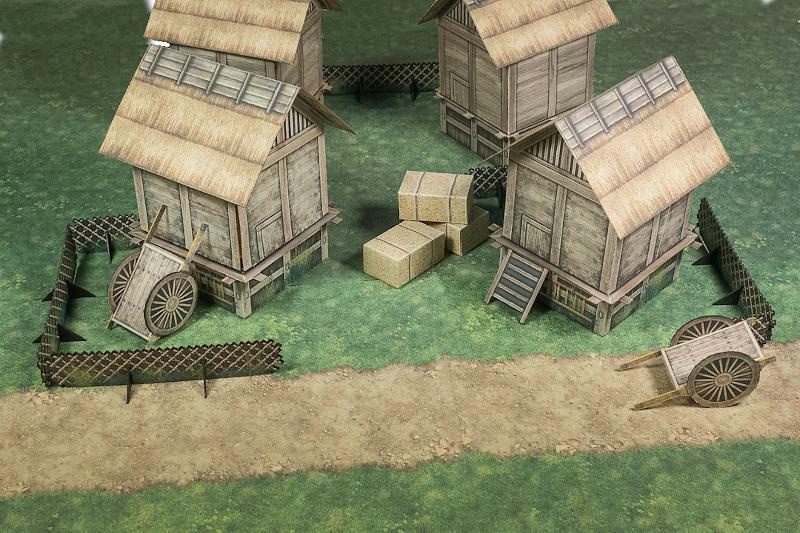 This set includes storage huts, carts, hay bales and bamboo fences. 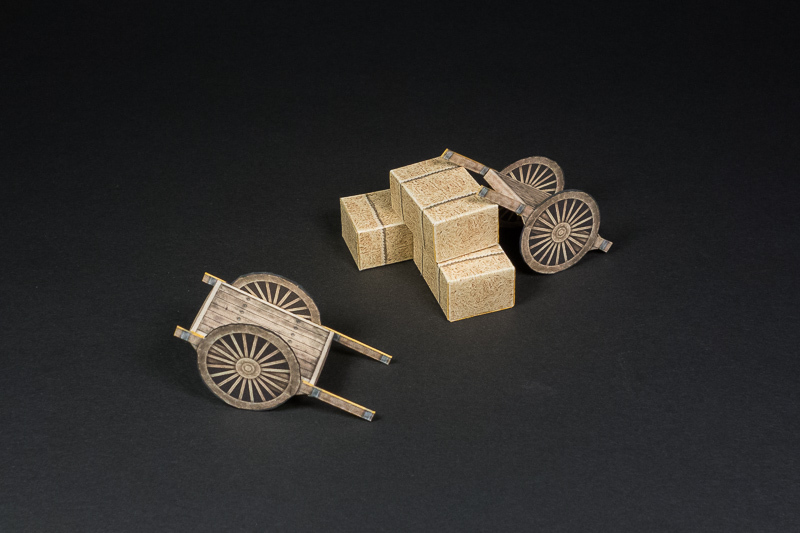 The extras come in a set of PDF files, which you can print and build as many times as you want. 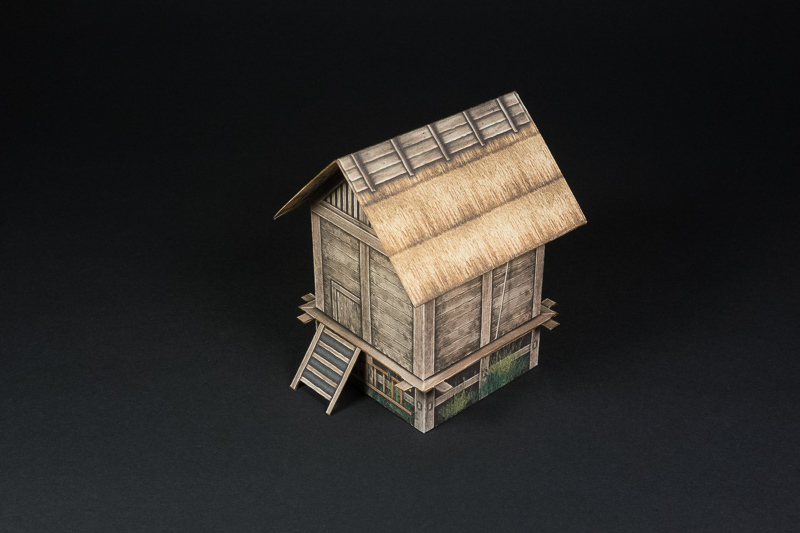 To allow for easy and safe storage of the Samurai Village extras, instructions for building the storage hut as flat fold modules are included. 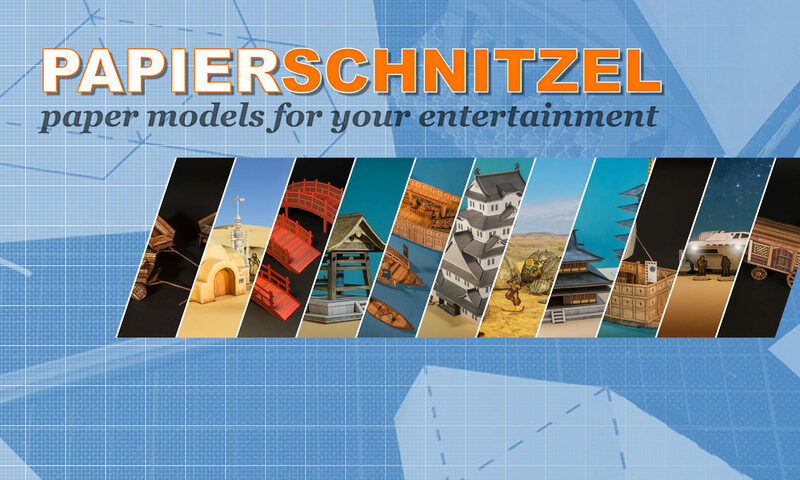 Choose from a variety of texture and/or color styles to build every house with an unique look! 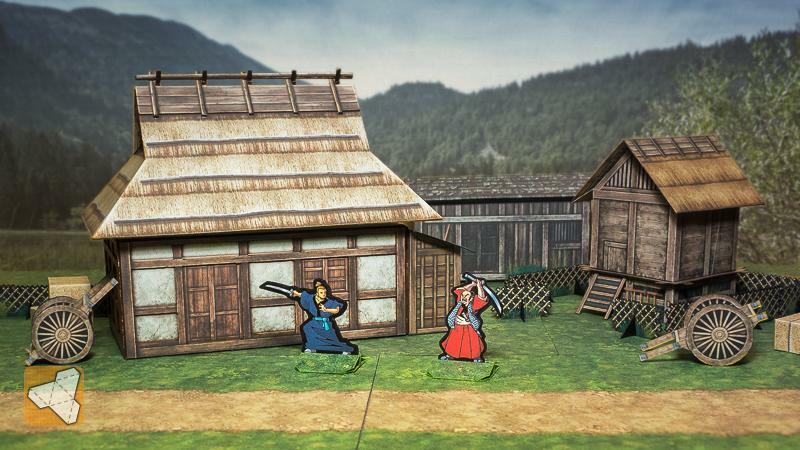 See the village extras in action (mixed with other sets).